Leah Busque, the founder of TaskRabbit and an on-demand service star, knows how to turn brilliant epiphanies into reality. Leah Busque—the founder of TaskRabbit, a pioneering online, on-demand-service platform, and a general partner in FUEL Capital, a venture capital firm—is clearly adept at “Making Things Happen,” the title of her IHRSA 2018 keynote address. She’ll counsel attendees on the art of turning clever concepts into concrete reality. Her presentation is sponsored by Technogym. 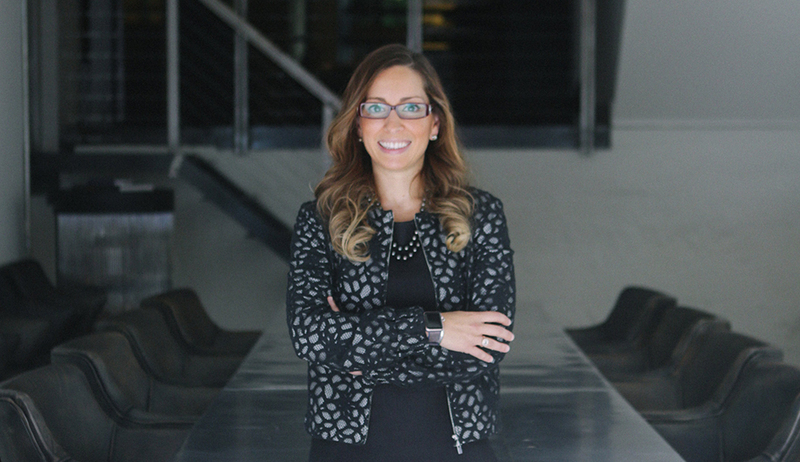 Club Business International spoke to Busque about her business prowess, the sharing economy, and how health club owners can hone their great ideas. CBI: We’re looking forward to “Making Ideas Happen,” your keynote presentation at IHRSA 2018. What are the main messages, the core concepts, you want to convey to your audience? CBI: Let’s say a health club operator has a stunning new idea they think would make a game-changing business. What should they do first? Also, some people get stuck in the startup phase. How can they avoid that? LB: You need to get your idea out there, test it, and then iterate quickly—if you do that, then you can move the ball forward ... For many of us, the fear of failure can be paralyzing. I’d say, don’t underestimate yourself and don’t overthink your idea. CBI: Where in the world did you get the idea for TaskRabbit, the online services marketplace that you founded in 2008? We’ve heard that it came to you on a snowy night in Boston. LB: The idea occurred to me when I was out of dog food one night, and going out to get it was a great inconvenience; it would have been a great convenience if someone had been able to run that errand for me. That was in February of 2008, when the technology around social, location, and mobile was in its early stages. As a software engineer, I recognized the potential these technologies had to connect real people, in the real world, with other individuals who could get real things done. So, I quit my job at IBM, cashed out my $28,000 pension, coded the first version of the site, and launched the service 10 weeks later in one Boston neighborhood to test how it worked. We bootstrapped the company for 18 months before raising our first seed round of funding. Why was the timing right for TaskRabbit? What was “the perfect storm” that made it take off? LB: The emergence of these three technologies was really what made service networking possible. CBI: You’ve also said that, “TaskRabbit has built a lot of things. Tried and failed.” Do you have some related teachable moments to share with convention attendees? LB: Absolutely. I’ll walk through a slide program describing the process, and identify areas where I believe we could have moved faster as a company. CBI: If you would, draw us a sketch of TaskRabbit on a cocktail napkin—basic idea, who your customers are, partnerships, the countries you’re in, revenues, etc. LB: The company connects you to people in your neighborhood who can help out with small jobs and tasks. Our customers are busy professionals—60% of them are women—who are definitely prioritizing things other than running errands, in order to make time for things such as going to a health club. From one neighborhood in Boston, we scaled to 44 markets across the U.S., and have opened in London, our first international market. We raised $50 million in venture funding, and brought the company to profitability. CBI: We think that’s rather impressive, at least in the context of the health and fitness industry. LB: Granted, it is a lot of capital. I’m actually quite proud of the amount we raised, but more because, while it’s on the smaller side with respect to the technology space, we were able to do so much with it. It allowed us to scale the company as we did. CBI: Since you, yourself, are one of those professional women, what tasks do you let others do? LB: I like to outsource things that give me leverage—tasks that give me more time at home with my kids, or an extra hour for email. For example, I recently outsourced the decorating of my home for Halloween, and also had a “tasker” conduct research on a new office I want to open for my business. CBI: What can club operators learn from this? Could they conceivably use this sort of system to run their businesses more efficiently? Can companies employ taskers, as well? LB: Indeed they can. This is all about the Law of Comparative Advantages. You outsource things when it’s appropriate, so you can focus on the priorities that only you can do the best. Successful companies, in fact, do this type of outsourcing all of the time. say, the service providers listed on Angie’s List or Home Advisor? Are your main competitors Google or Amazon? LB: We actually have commercial partnerships with all of those companies, because we offer what’s essentially the “last mile” of service. If you order a TV from Amazon, for instance, chances are that you’ll need to have it installed after delivery. We can offer that sort of additional service to customers across many different industries. We also kicked off an 18-month commercial partnership with IKEA, which led to an exit for us. CBI: That’s right—in late September, you sold TaskRabbit to IKEA. But we understand that TaskRabbit will continue to operate independently. Will you still be involved? What are you doing now? LB: With the acquisition, TaskRabbit will operate independently, but under a new board of directors composed of IKEA people. The entire TaskRabbit board was dissolved as part of the sale process. in the retail, hardware, consumer technology, and education marketplaces, as well as other industries. We get in when an idea or product is just taking shape. In many cases, we’re really investing in the team and founders, because we believe in them and their vision. CBI: In your view, how have the sharing economy and service networking changed society’s expectations ... and the nature of business? Where do you think things are heading? Close your eyes for a moment, and tell us what you see. LB: Recently, everything has become on-demand. This is a new concept for consumers, and the expectation that everything should be available immediately is increasing exponentially. When I first noticed this happening, I realized it wasn’t going to be a fleeting trend. Today, I see new technologies emerging that are going to affect the next 10 years. Artificial intelligence (AI), as a platform, is just one example. It’s going to have a dramatic effect on many industries. CBI: Talking about immediately—TaskRabbit has begun assigning tasks that can be completed in as little as 60 to 90 minutes. What about fitness? Could clubs create an app, and dispatch a trainer to someone’s home tout de suite? LB: Yes, clubs could do the same, and, when they do, it will be driven by consumer expectation. We live in an on-demand world! CBI: What does the success of TaskRabbit say about the use of mobile? LB: Mobile is a really important platform, but other promising ones are emerging. Clubs would be well advised to look at wearables and how they interact with mobile. The next generation of watches also is going to be really interesting. CBI: Finally, if you would, tell us more about FUEL Capital. What kinds of companies interest you? LB: We look for founders with the guts, smarts, and determination to create new things that people can’t live without. We often take a risk on an underdog with fire in their eye. We look for people who want to build products and services that change the rules, and become iconic—as TaskRabbit has. Once we invest, we coach and mentor; we help recruit or raise money; we find customers, partners, or advisors. And, we connect all of the participants to leverage the power of collective wisdom. We value genuine relationships, trust, and being an important, productive member of a company’s team. CBI: What’s next for Leah Busque? LB: I’ll continue to work with talented innovators who don’t fit the typical mold, and may not have access to investors and capital, but do have the potential to develop big companies that will change the face of industries—and the world. CBI: Could we interest you in something in the fitness space? Our goal is to change lives and improve the world’s health. LB: Absolutely! I think there are big brands and businesses to be built here, and I’d love to be a part of them! Patricia Amend is an executive editor to Club Business International.